Berkeley Computer Service by Bay Geek Computers! Being in business for more than 10 years Bay Geek is a team of professionals working together in the Bay Area to provide excellent, professional and affordable computer service to individuals and businesses. eg. : Webcams, Microphone, Speakers, Printers, etc. eg. : Keyboard, Wireless Cards, Casing, Palm Rest, Mouse Touch, Hinges, etc. - We also offer FREE pick/delivery in the Berkeley area. 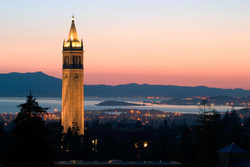 - UC Berkeley students always get a 10% off discount*. - We also fix MACs! CALL TODAY TO SCHEDULE A PICKUP/EVALUATION FOR YOUR SYSTEM! You can reach us at 510/859.4214. * You must present a valid UC Berkeley student ID. Discount not valid with any other promotion/offer/discount.